Scalable job submission, management, and archive solution for wide-format equipment. Take control of your large-format print workflow with Océ Direct Print Software Suite. This large format printing software package give you the power to manage multiple printers and print queues with one software application. Simplify all of your day-to-day plotting tasks and reducing them to a single click. Print the way you want the first time, every time! 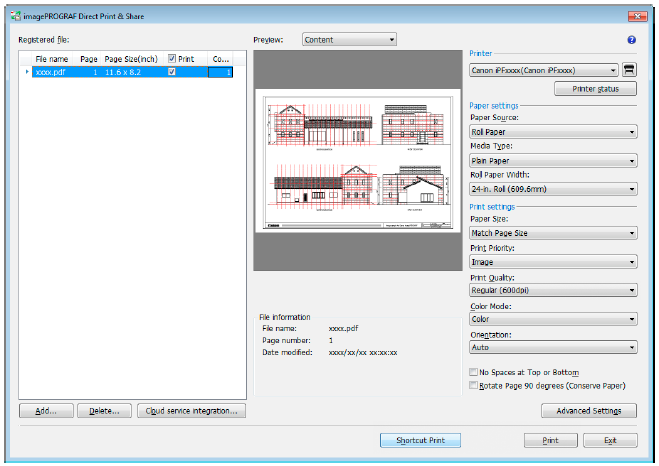 Incredible Large Format Printing Software!